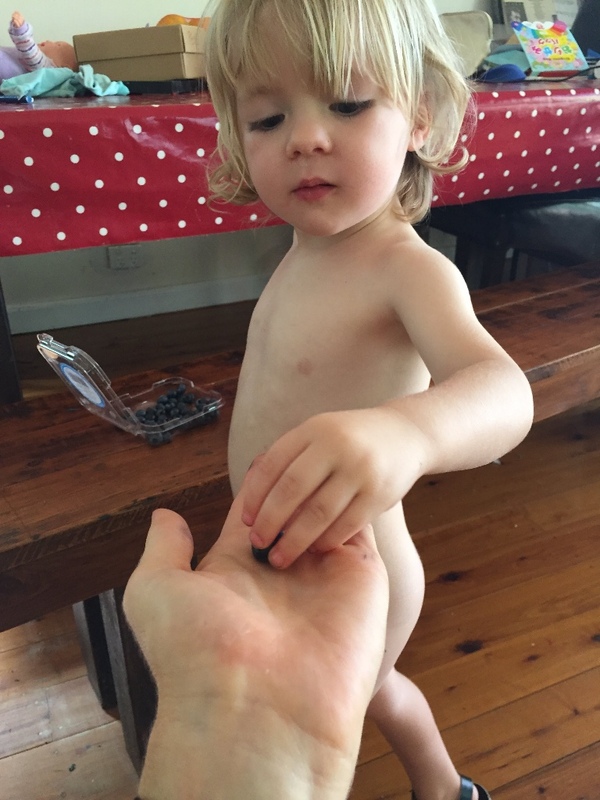 One afternoon this week, my 2 year old son had a meltdown over me eating a blueberry from the full punnet he had taken from the fridge. He was so insistent that they were HIS blueberries and that I couldn’t have any. “They’re MINE”. “Don’t eat MY blueberries”. He got very upset and started to lash out at me a bit. I realised that he had been at Playgroup all morning and had had to navigate the complex world of sharing toys, taking turns and realising that the toys weren’t his to take home. He would cry more when I said that and say yes, he didn’t want anyone else to have them. This went on for about 10 minutes – me offering him empathy for what he was wanting, and he agreeing with what I said and crying more. After a while, his crying subsided. He became calm & clear again. He had been able to offload much of the tension he had been carrying. 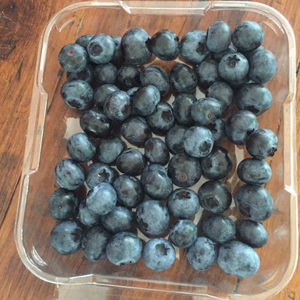 It wasn’t really about the blueberries – they were the catalyst for his upset feelings about sharing, wanting to keep things just for himself, etc, to come out. And afterwards, when he went back to enjoying his blueberries again, he was very happy to give me some. – or even to explain that if he ate them all he would have a massive tummy ache! What he really needed was my understanding of what he was wanting, and then the opportunity to release his frustrations and sadness with me there, loving him throughout. So that when he had finished, he returned back to his innate loving self, and was more than happy to share them with me. So the next time your child becomes inflexible, unreasonable and stuck in some upset feelings, try to just listen to what they are saying without judgement, knowing that they are working on something that’d upset them in the past and they are trying to work on it now, with you there.